Johns Hopkins Sickle Cell Disease ECHO® Clinics were modeled after an innovative liver disease determined specialist, Sanjeev Arora, M.D., who was desperately trying to increase access to quality curative treatment and care for people living with Hepatitis C in Albuquerque, NM. There is still an unmet need for healthcare providers to specialize in care for children and especially adults living with sickle cell anemia. The same is true for healthcare providers who specialize in Hepatitis C treatment. Having relationships with hematologists and other healthcare providers is important to get the best recommendations and input for clients who have complex chronic conditions in order to increase access to high quality primary specialty care. In turn, the aim was to build regional networks and leverage resource capacity with other providers. These providers all have the necessary expertise, resources and training to provide comprehensive coordinated care and services to a disparate, underserved population. That being said, technology can be a useful tool in the 21st Century to help bridge the gap to high quality expertise care. Technology can also ensure that clients have access to an academic institution world-renown for their sickle cell treatment center. The number of research projects, clinical trials, and curative treatment options - such as the Half-Match Bone Marrow Transplant - are available to TOVA clients with sickle cell anemia at John Hopkins. Over the years, it has been quite an honor to share my clients cases at ECHO clinic with an expert team of providers who are very knowledgeable and experienced in taking care of the sickle cell population. In turn, sickle cell patients express that they feel quite honored that someone wants them to have access to the best care as well as innovative and cutting edge treatment options to ease their pain and suffering right here at home. 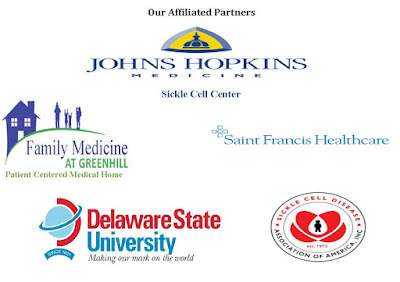 TOVA is an affiliated partner with the SiNERGE Northeast Regional Sickle Cell Collaborative. This global network reach includes Puerto Rico, Antigua, and the U.S. Virgin Islands. Though being known as a visionary and a progressive minded healthcare provider, my hope in the near future is that local changemakers will be embraced. Most of all, I hope that they will be given a level playing field of economic opportunities to access resources and to have protection of their intellectual capital. It is especially important for changemakers, willing to find viable solutions for the most challenging healthcare problems facing the state and the nation, to have resources. Thus, ordinary people like nurses can also lead the way as well. Join the Movement and Go Forth.